Tree removal – Do you notice natural splitting or cracking at critical parts of the tree? Was your tree recently the victim of disease or a bug infestation? In either case, removal might be the only option. At Pro Tree Service, we are proud to offer full-service tree removals. You can count on our team to safely remove all branches, logs, and major debris. For your convenience, tree stump removal is included in our estimates. Tree trimming – Do you trim and prune your trees on a regular basis? It’s important to know that the constant removal of limbs and branches can shorten the life of some trees. Granted, there are instances where trimming and pruning are appropriate. Are your trees growing too close to nearby properties or public-use spaces? Pro Tree Service has you covered. Commercial tree care – Through the years, we have worked with local municipalities in their efforts to have safe, beautiful public spaces. 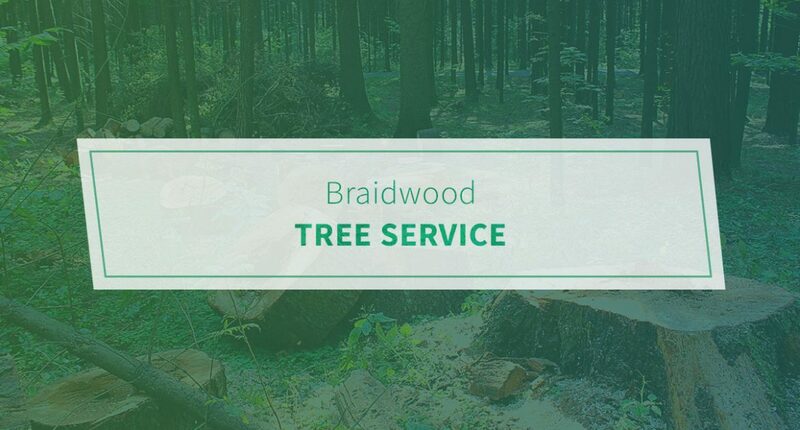 Pro Tree Service is Braidwood’s choice for land and lot clearing service as well. Don’t settle for any local tree care company. Instead, leave your project in the hands of our licensed, insured, and bonded team. Request an estimate today.